Only estates larger than $11.4 million might owe federal estate tax. The federal estate and gift taxes are really one tax, called the unified gift and estate tax. For deaths in 2019, you can leave or give away up to $11.4 million, total, before you need to pay tax. Tax liability isn't assessed until death, unless you make $11.4 million in taxable gifts (very unusual) during your lifetime. The personal estate tax exemption. The personal exemption allows a set dollar amount of property to pass tax-free, no matter who inherits it. Thanks to the Tax Cuts and Jobs Act of 2017, the individual exemption for deaths in 2019 $11.4 million. This amount will rise each year with inflation. If your estate is worth less than the exemption amount--as are the estates of more than 99.9% of the population--it won't owe federal estate tax when you die. If you have made taxable gifts during your life, the amount of your personal exemption will be reduced by the amount of those taxable gifts. The marital deduction. 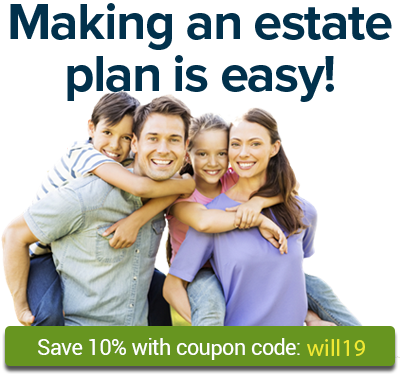 All property left to a surviving spouse passes free of estate tax. (I.R.C. § 2056(a).) The marital deduction is not allowed for property left to noncitizen spouses, but the personal estate tax exemption can be used for property left to noncitizen spouses. Special rules for married couples. A surviving spouse gets a big tax break. If the deceased spouse didn't use up his or her individual tax exemption, the survivor can use what's left. That gives the couple a total exemption of twice the individual exemption amount, which can be split between them in any way that provides the greatest tax benefit. For example, say a man dies and leaves $10 million to his widow; no estate tax is owed because property left to a spouse is tax-free. The widow then dies, leaving $25 million (her own $10 million plus the $10 million she inherited from her husband) to their children. Her estate won't owe any estate tax, even though the estate is over the exemption amount, because the estate can use some of the husband's unused exemption. Learn about each state's rules. For a discussion of how you can plan to avoid estate and gift taxes, including giving gifts and creating an AB or bypass trust, see Plan Your Estate or Make Your Own Living Trust, both by Denis Clifford (Nolo). For information on paying estate taxes after a death, see The Executor's Guide: Settling a Loved One's Estate or Trust, by Mary Randolph (Nolo).